In 1981 on the basis of the collective reflections of some militants who after the dissolution of Front Line are referred to as the “Organized Center”-there is a formalization in Barzio in April of that year of the creation of the Communist Organization for the Liberation of the Proletariat (COLP) which proposes the establishment of a support network for illegal militants and the liberation of political prisoners. In the period between the formalization of the “Organized Center” and the establishment of the COLP in August 1981, some militants communicate their exit from this area of reference with a signed document that is clandestinely distributed in various cites. In November 28th, 1981 two of these militants are stopped by police at the Milan Central train station and a gun battle occurs in the course of which the police officer Eleno Viscardi is killed. The first use of the organizational signature COLP occurs on December 4th 1981 when the organization carries out the liberation of two political prisoners from the Frosinone prison. On the 10th of December in the Cueno prison, the militant Giorgio Soldati who had participated in the debate on the formation of the COLP and left before the organization was formally constituted is killed for his collaboration with the police by militants of other armed organizations. On the 3rd of January 1982, the COLP liberates four Front Line militants from the Rovigo prison in a joint operation with the Nucleus of Communists. During this action the pensioner Angelo Furlan dies of heart attack. On the 21st of January following a bank expropriation in Siena, a gun battle occurs on board a train car in which COLP leader Lucio Di Giacomo and two carabinieri, Giuseppe Savastano and Euro Tarsilli are killed. There is a massive televised police search operation lasting two days which concludes with the arrest of all militants who had fled the scene. One militant is severely wounded and another will denounce the torture he suffers following his arrest. On the 22nd of January 1982, the COLP distributes a leaflet dedicated to Lucio Di Giacomo. On the 10th of June in a meadow in the Milan suburbs, Rocco Polimeni commits suicide. On the 15th a letter is left in the mail box of the Corriere della Sera which claims Polimeni’s involvement in the organization and clarifies the circumstances of his death. 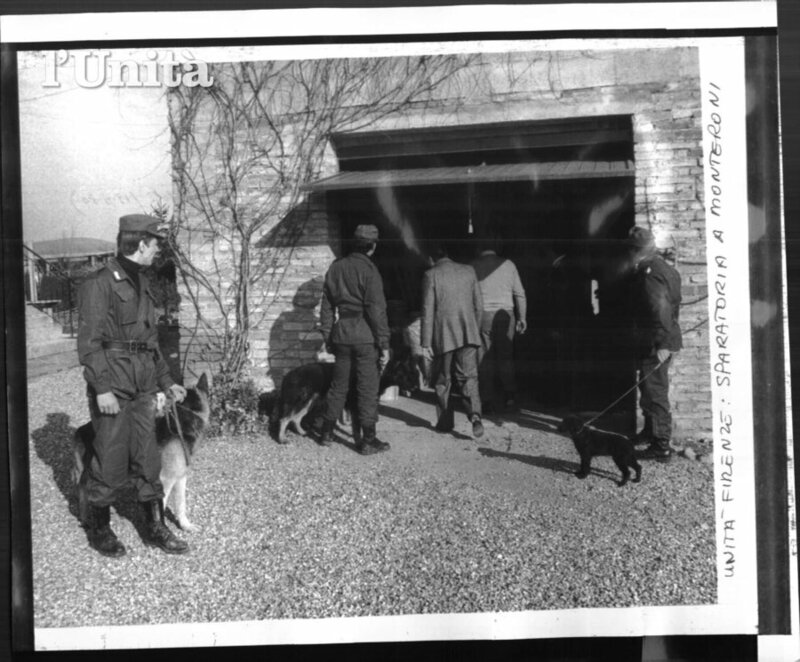 In 1983 the COLP develops relations of discussion and organizational collaboration with other armed organizations in Italy and France around the theme of prisons, its central terrain of intervention. On September 17th in Milan during a police operation aimed at apprehending a wanted militant, Gaetano Sava is killed, though he is alleged to have been a COLP member, he was in fact only a sympathizer who was on the scene due to his personal friendship with the wanted militant. On the 15th of October in Paris, the police kill COLP member Ciro Rizzato during an expropriation. The COLP experience ends in the early months of 1984 with the arrest of the last remaining militants. The state investigates 149 people for their involvement in the COLP.